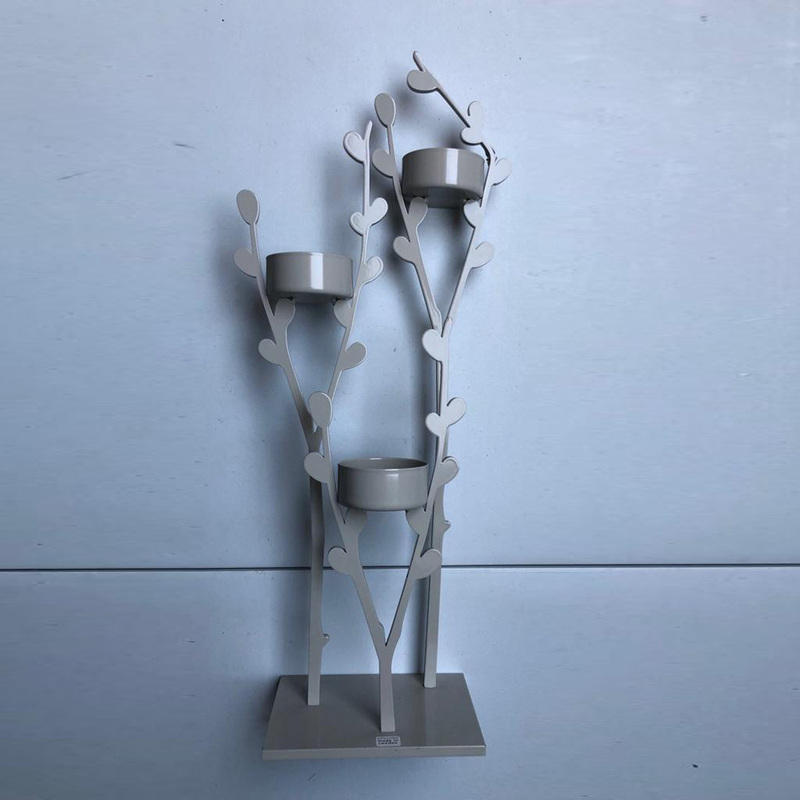 Tealight holder for 3 tealights in metal. 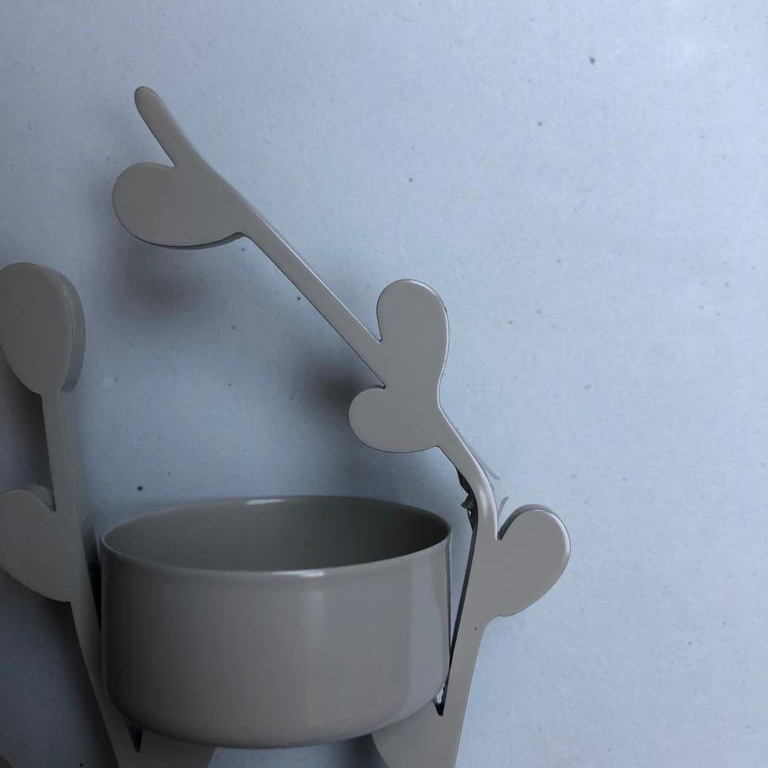 Dimensions: 17 cm x 38 cm. 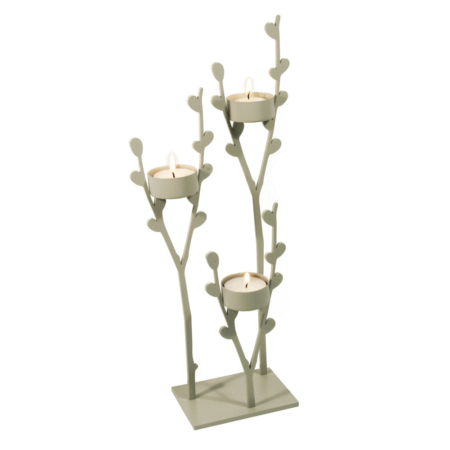 This tealight holder is damaged on top: a branch is not correctly attached, so on top you can not put a tealight in it.